my mother's vegetable garden is exploding right now. Green beans, tomatoes, celery... everythings ready to be harvested. Good for me, as I'm therefore currently getting the best organically grown vegetables directly from the garden. 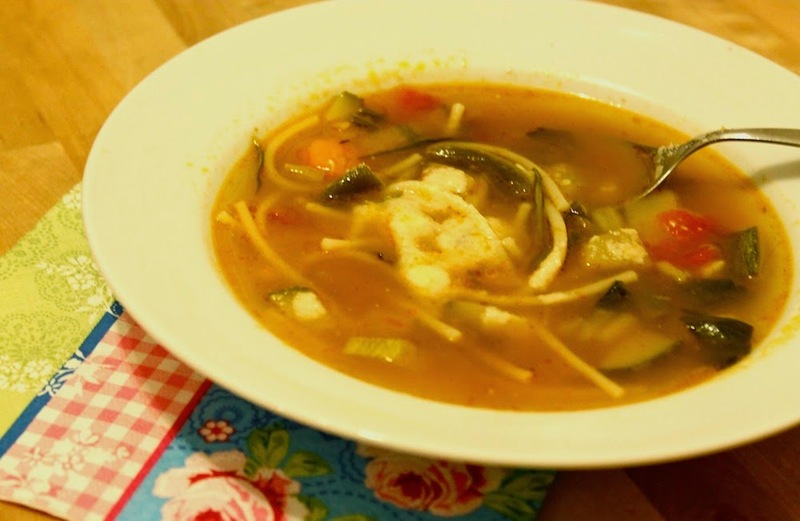 I decided to use them to make a really tasty and substantial vegetable soup: Italian minestrone. 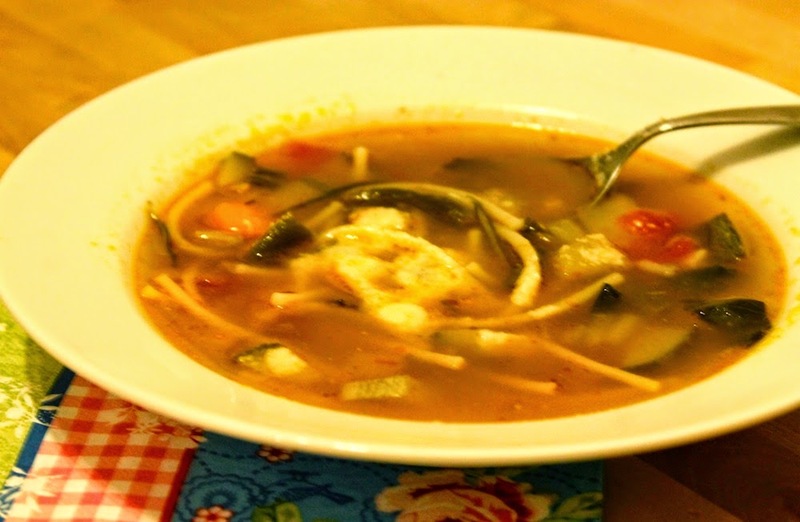 Chop the garlic, spring onions, celery leaves, carrotts, potatoes, green beans and zucchinis. Heat the butter and the olive oil in a big pot and brown the garlic and the onions for two minutes. Add the celery leaves, the carrots and potatoes and continue roasting for another two minutes. Add the green beans and the zucchini and...what do you think?... brown for two minutes. 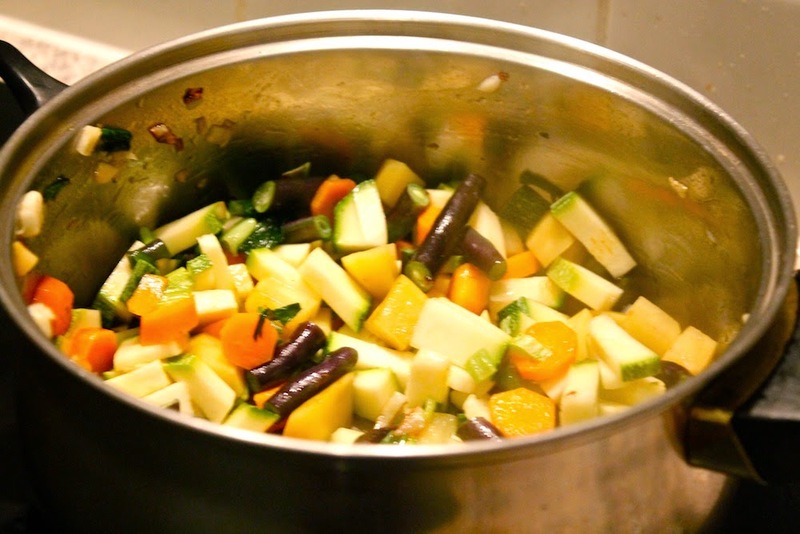 Cover the pot and cook the vegetables stirring occasionally for about 10 minutes. Then add the vegetable stock, the tomatoes, the tomato paste and the basil and add salt and peeper to taste. 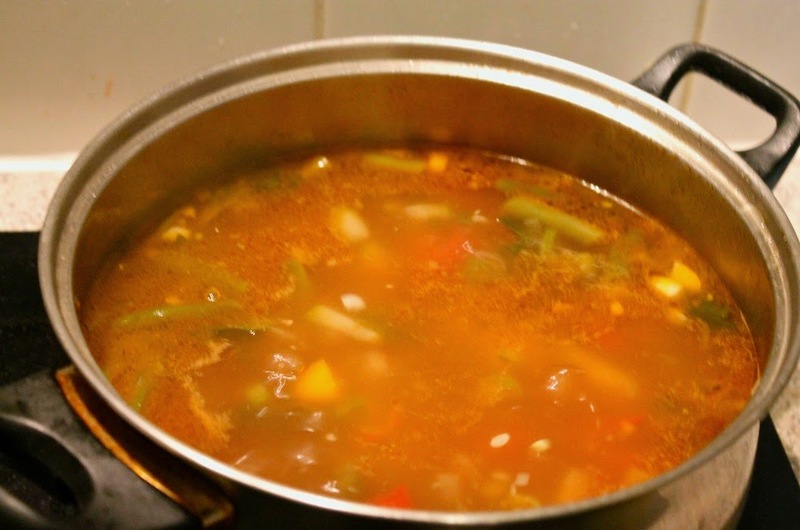 Cook the soup on a low heat for about an hour. Then add the spaghetti pieces and cook for another 10 minutes.